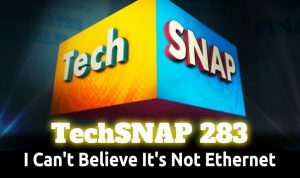 How a modified USB ethernet adapter can steal credentials, a new compression algorithm from Facebook that might be legit & the terrible terrible security of a consumer NAS. Plus great questions, our answers, a fun roundup & much, much more! “By design, zlib is limited to a 32 KB window, which was a sensible choice in the early ’90s. But, today’s computing environment can access much more memory — even in mobile and embedded environments. So they reversed the process and uploaded a new configuration file with the hash of a known password (faster than brute forcing). Why is this allowed by a non-admin user anyway? And, we’re in. The sshd_config has been replaced with one uploaded by a unprivileged user.